Nissan wants a judge to toss out a CVT lawsuit that they claim doesn’t point out any specific defects. 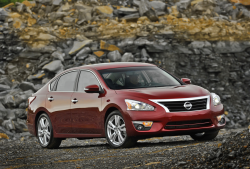 The Massachusetts lawsuit says Nissan promoted their CVT as having a fluid-like performance, but that couldn’t be further from the truth for owners of the 2013-2014 Altima. The judge says the allegations are plainly sufficient and will allow the case to move forward.